Borowczyk’s first professional film outside of Poland, The Astronauts takes the manipulated photograph technique of The School to dizzying new heights. The first of several Borowczyk films produced by the Polish-French producer Anatole Dauman, The Astronauts is credited as being co-directed by the late, legendary cine-essayist Chris Marker. According to Marker, his main contribution to Borowczyk’s film was the loan of his owl, Anabase. 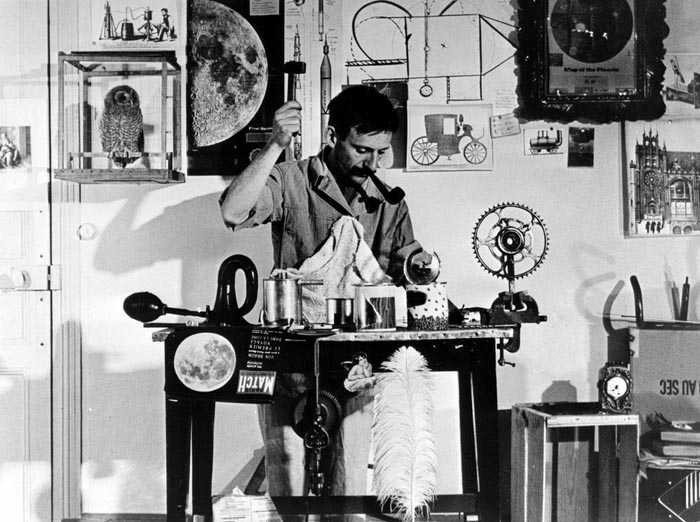 Fellow animator and sometimes Borowczyk collaborator Michel Boschet plays the lead role in a film which invokes the wonder of Georges Méliès and the slapstick of Buster Keaton.